Grow projects that serve the wider community and perpetuate the values of pluralism, Jewish learning, engagement with Israel and social responsibility. Inspire alumni to put their talents into action. 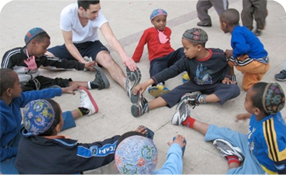 All grantee projects are led by a Bronfman alumnus, either as a volunteer or professional. Amplify the power of peer support: grants come from donations from Bronfman alumni and their families in North America and Israel. All grantees receive capacity building support from the alumni network. The Alumni Venture Fund is being revamped and is currently not acepting applications. We will make an announcement when our grant period re-opens. The AVF supports projects and programs led by Bronfman alumni working to make an impact in their communities. Eligible projects must reflect the spirit of The Bronfman Fellowship and may draw on Bronfman's core values: Jewish learning, pluralism, engagement with Israel, and social responsibility. Please note that projects related to political engagement must be non-partisan. 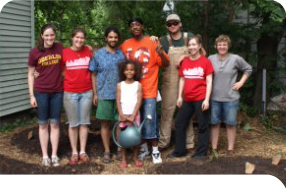 Grants are evaluated by the AVF Grantmaking team comprised of volunteer representatives of the alumni community. Grants are funded through donations from the international Bronfman community, and are awarded annually. 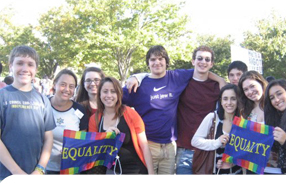 Email aaron@bronfman.org to donate or volunteer your services to our grantees! Alumni from North America and Israel typically review proposals annually. Funding decisions are made within six weeks of the deadline. Recipients will be notified via e-mail by a representative of the AVF Grantmaking Team. In 2010 and again in 2011, the AVF was recognized by a panel of 36 foundation professionals from across North America to be named one of the nation’s 50 most innovative Jewish nonprofits in Slingshot, a resource guide for Jewish innovation. Read our 2015 Annual Report to learn about our first 10 years of accomplishment.